The GPU as a service market is characterized by R&D for vector processing and parallelism capabilities resulting in new algorithms and graphics design. Moreover, the increasing investments in AI platform and VR by players such as NVIDIA, Google, Intel, and Microsoft will improve the market potential and reliability on their GPU products. GPU as a Service Market is set to exceed USD 5 billion by 2024; according to a new research report by Global Market Insights, Inc. The GPU as a service industry helps in delivering enhanced images, including optical effects, seamless motion, and intricate shapes at a faster pace. 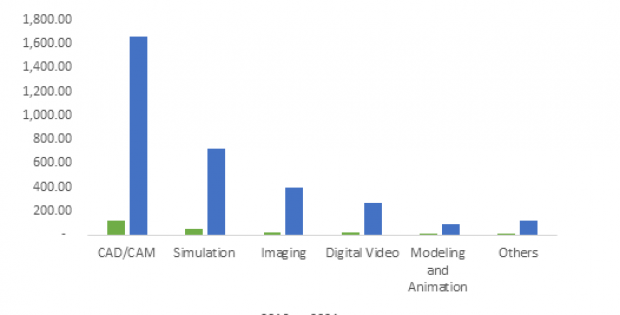 The market is booming due to increase in demand for visual effects in gaming and entertainment applications. Also, the improved performance and functionality of the GPU have made them coprocessors for the computation, fostering the market growth. There has been a steady rise in the gaming audience and support for AR and VR in the gaming sector. Thus, GPU providers and AR and VR players are collaborating and integrating their solutions to come up with relevant products for their customers. The design and manufacturing plants and automotive sector will have highest growth due to the increase in sales of four wheelers and huge investment from analytics firms such as OmniSci.